Our celebration of summer music festivals continues with a genre many don’t associate with beautiful scenery and fresh air: jazz music. Although a dark and intimate club setting is a wonderful place to listen to jazz, it’s also a blast to experience this quintessentially American art form in the great outdoors. With a variety of settings, there’s a little something for everyone. From the West Coast’s Monterey Jazz Festival in California to the East Coast’s Clifford Brown Jazz Festival held in downtown Wilmington, Delaware, to the mountain setting of the Telluride Jazz Festival in Colorado, to the Newport Jazz Festival overlooking the Narragansett Bay in Rhode Island – these locales add to the experience of outdoor jazz festivals. Outdoor jazz festivals create a party-like atmosphere in which people of all ages can enjoy the music. Families can introduce teens and younger kids to jazz without worrying about 21-and-over admission policies. Most of the larger festivals offer an assortment of non-musical activities to complement the jazz performances. There are wine tastings, arts and crafts vendors, and an enormous array of food. At Telluride, there’s a brass band parade complete with floats and costumes! Especially with the larger jazz fests, you can sample different styles and genres. You can experience Latin jazz, modern jazz, New Orleans-style jazz, and more. Don’t want to commit to a full evening of experimental jazz or hard bop? Get a taste of jazz you’re not as familiar with while still being able to hear more familiar music like big bands and straight-ahead quartets playing standards. Monterey alone has more than 500 jazz artists performing during the course of their three-day festival. The lineups for the larger festivals usually include a mix of established players and up-and-comers who are just starting out. Jazz legends like Wynton Marsalis and Chick Corea, who are both performing at Monterey, and Pat Martino, performing at both Newport and the Richmond Jazz Festival, play alongside artists you may be hearing for the first time. Jazz festivals provide a wonderful opportunity to see firsthand the passing of the torch from one generation of jazz greats to the next. You can spend up to a few hundred dollars on tickets for a jazz festival if you’re interested in arena packages and reserved seats. But plenty of more affordable options are available through general admission tickets, single-day passes and the like. Most jazz festivals offer child and student tickets at discounted prices, making it easier to experience jazz with the whole family. 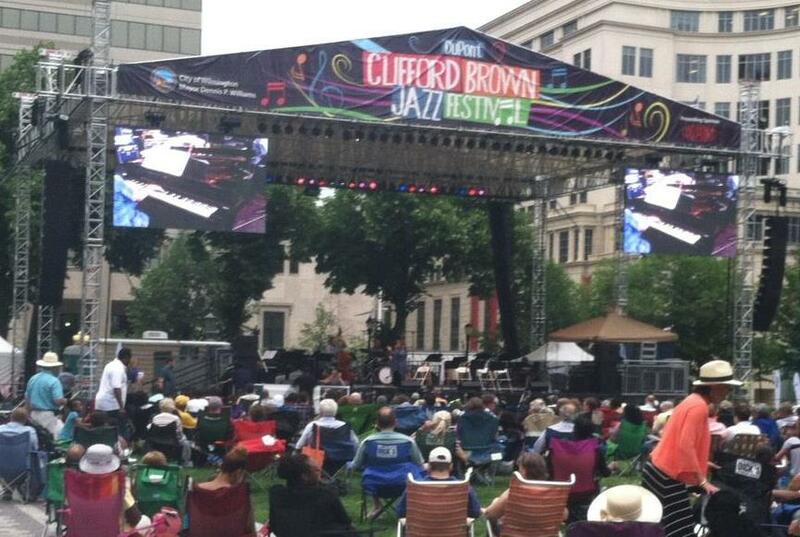 And some festivals make their music available to anyone and everyone: all of the main stage performances at the Clifford Brown Festival, for example, are free and open to the public. Big band, funk, bebop, free jazz, you name it – summer is the perfect time to indulge in your favorite jazz genres, explore new ones, and share it all with family and friends.